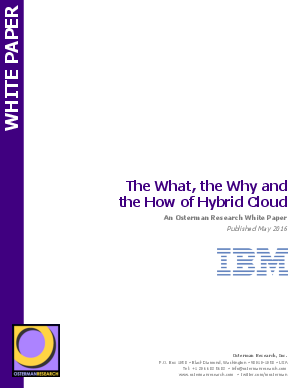 In this white paper we discuss what hybrid cloud is, why it’s inevitable, and how to take advantage of it. We look at some of the barriers to public-cloud adoption, while we cut through unnecessary technicalities to get to the heart of the matter. We also offer a brief overview of the sponsor of this paper and their relevant solutions.